We meet again on Thursday 7th January when we will welcome David Spurrier. 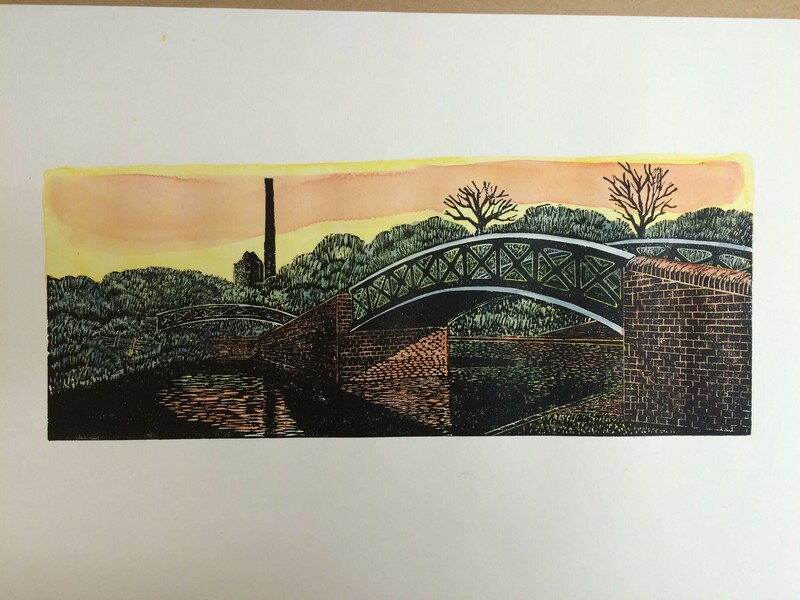 He will be taking us through the process of how to make a plate for printing. Materials supplied so come along and try your hand. The following two weeks (14th and 21st), a press will be on hand for you to use to try out your ‘plate’. 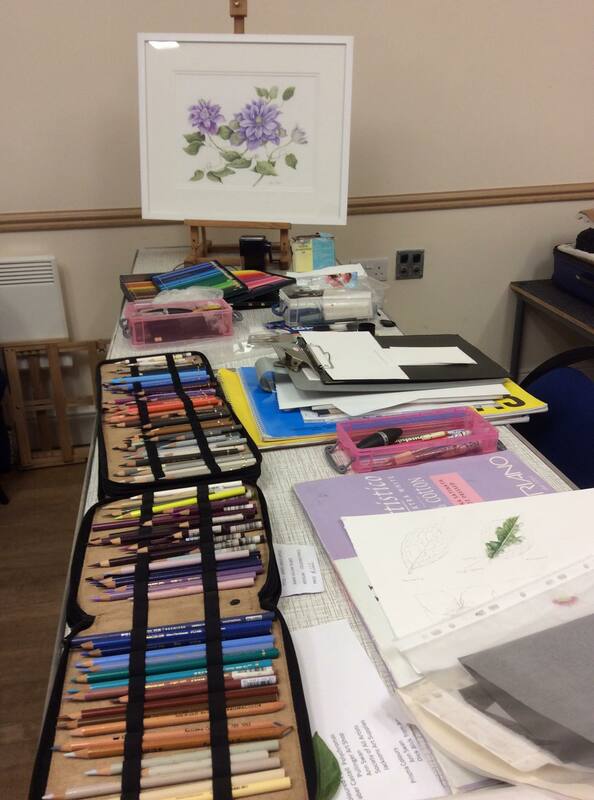 Join us at Trimpley Village Hall this evening for a session with Claire Spencer on drawing and mark marking. All materials will be provided. The October – November newsletter is now available under the Newsletter tab above. There are lots of activites going on this autumn so don’t forget to put the dates in your diaries! What a fantastic evening with Angela Gaughan! 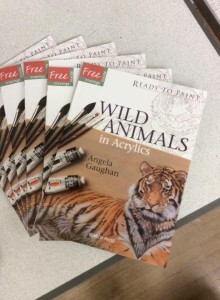 Angela is renowned for her wildlife paintings and brought copies of her book and some of her paintings to show us. 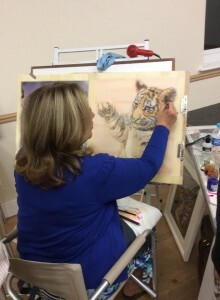 Angela showed us how she went about creating her paintings using acrylic washes built up in washes over a detailed Inktense drawing. Even though Angela only had a couple of hours for her demo the result was amazing! 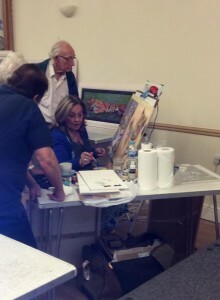 I am sure that those attending the demo learnt many valuable tips about working in acrylic. To see more of Angela’s work visit her website here. This month’s theme is- Painting in Oil and Acrylic. You can choose to paint in either medium for your subject. 17th September – Work Night. We will also be having a photo session with Colin Hill. He will be photographing your entry for the Annual Exhibition in Kidderminster Library in November. 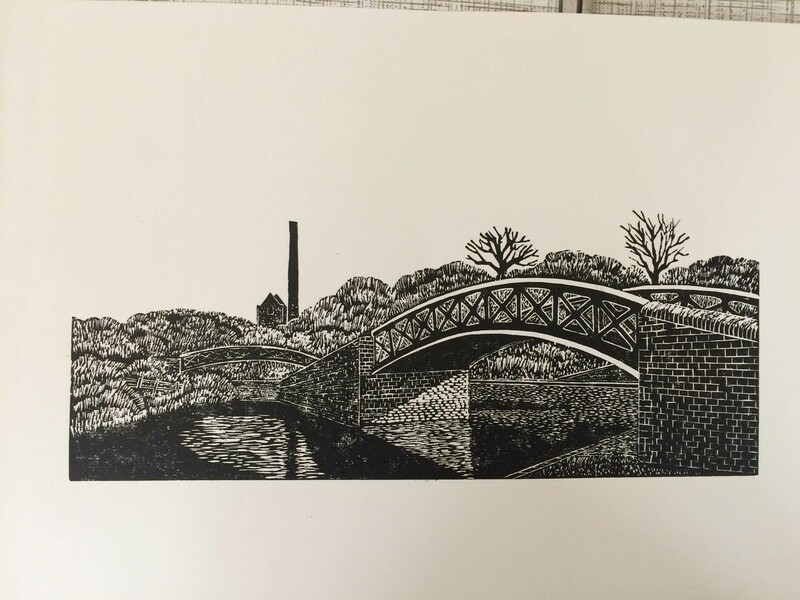 Please bring along your UNFRAMED WORK (not behind glass) but can be mounted. Only one piece per member. There will be one more chance in October if your piece isn’t ready. 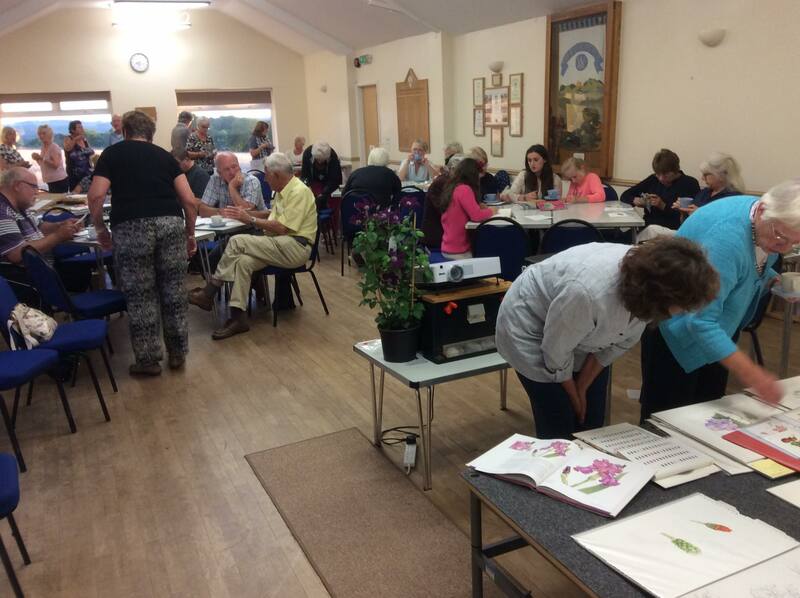 24th September – Appraisal night with Shirley Bonas. 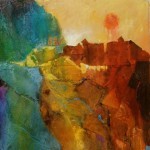 If you are in Bewdley why not pop into St. Georges Cafe and have a look at Shirley’s exhibition. A lovely evening learning new techniques with coloured pencils. 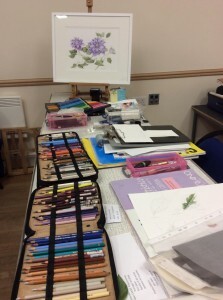 Thanks to Gillian Talbot for bringing her wonderful pictures and her tools of the trade. 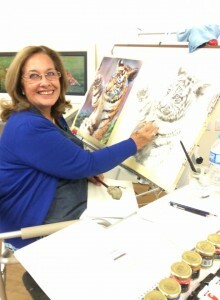 Tonight – 4th June, we have a demo by George Loades. 16th April – The demo by Peter Horrocks on 16th April was a great night with lots of information on using earth pigments, which peter demonstrated with great skill. His work was very different to what was expected and most people went away with lots of ideas. There are some photos on our Facebook page for you. 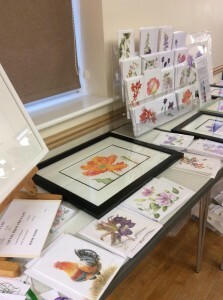 23rd April – Although not many members came to the sale of art material, those that did either bought something that was a bargain or sold items that they no longer wanted. We all enjoyed some nibbles and a cup of tea while having a nice evening in good company. 30th April – The Spring Trophy Night was a great success with lots of high standard entries. We all enjoyed the buffet while trying to deliberate our casting vote. From this month we will be having a Medium of the month, but you can choose whether to paint a landscape, portrait, animals, buildings, flowers, abstract or anything you like to paint. The choice is yours. BUT you will have to do it in the months chosen medium. Don’t worry if you don’t have the medium, you are welcome to come along and you will find that other members will bring supplies for you to try out. 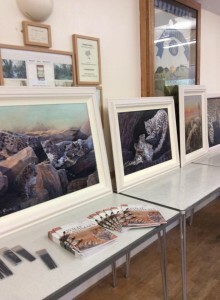 So tonight it’s Trimpley Hall for 7.15, BRIAN STEVENTON RBSA BWS is coming along to give us an insight on acrylic techniques. 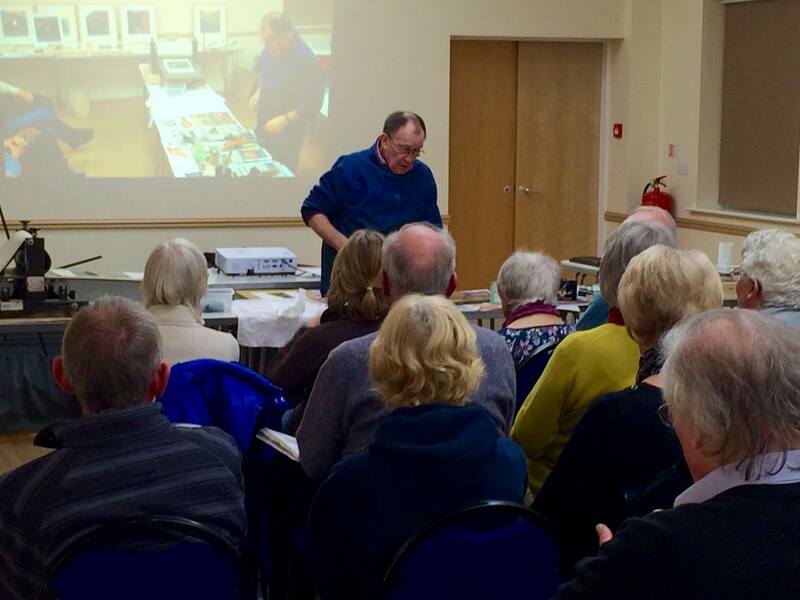 Kidderminster Art Society enjoyed an informative evening with Paul Hipkiss on 5 Feb 2015, demonstrating some of his printing techniques. 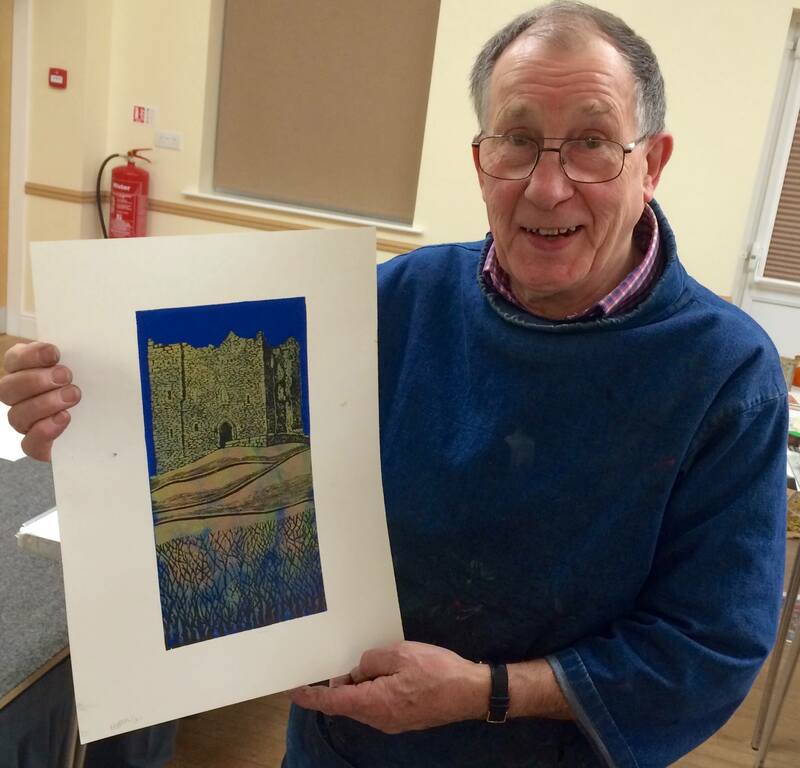 With a quick background and overprinting, Paul created this lovely print in just 20 minutes. Here Paul makes his print on a press then with colour washes, completes the picture of the bridge, leaving the white railing, helping to define the contours as a contrast against the sky and trees.